FlushDraw returns from a brief holiday hiatus with a continuation of developments from the US Commonwealth of Kentucky, where on Wednesday, Franklin County Circuit Court Judge Thomas W. Wingate confirmed the most cynical of expectations by approving the state’s request for trebled damages in a long-running case against PokerStars. The total damages thus tentatively owed to Kentucky jump from $290 million to more than $870 million. Both the current and former owners of PokerStars are expected to face significant liability from the summary judgment, though current Stars owner Amaya Gaming issued a statement on Christmas Eve announcing the company’s plans to appeal, while also decrying the “frivolous” nature of the home-court judgment in Kentucky’s favor. 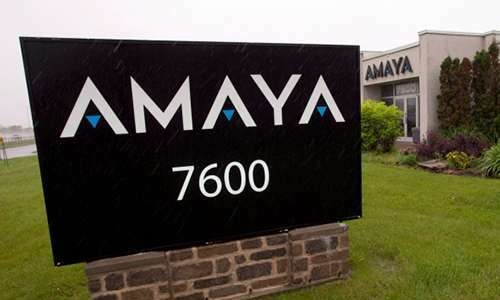 Amaya Inc. (NASDAQ:AYA; TSX: AYA) today announced it will appeal a judgment issued yesterday by a state judge in the Commonwealth of Kentucky and will avail itself of any and all remedies available to it. Wingate, who is also the issuer of the eventually-nullified ruling that temporarily authorized Kentucky to attempt to seize 141 online-gambling domains back in 2008, has a long track record of highly questionable decisions and rulings favoring Kentucky on the topic. As such, his approval of the trebled-damages request was utterly unsurprising. We need to let Darwinism work with these people that are stupid enough to gamble more than they can afford to lose, we have to stop protecting all the idiots of society.